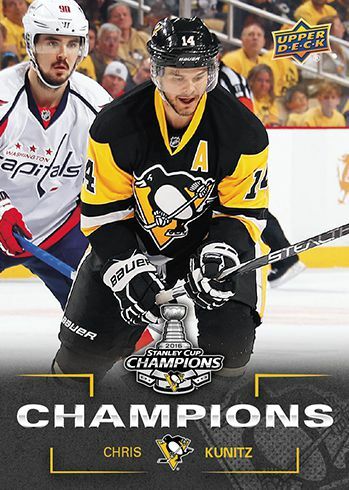 The 2016 Upper Deck Stanley Cup Champions set commemorates the fourth title for the Pittsburgh Penguins franchise with a special factory release. 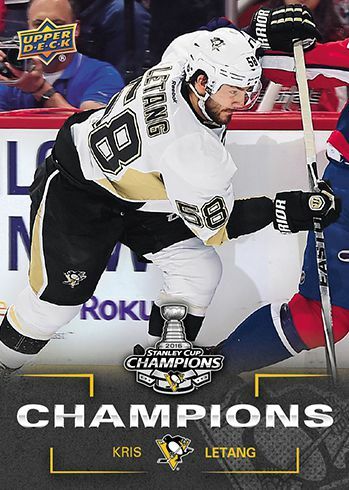 2016 Upper Deck Stanley Cup Champions is an 18-card limited-edition set. The set is not sold in stores, however, it will be available to purchase through Upper Deck Authorized Internet Retailers with any 2015-16 Upper Deck hockey box purchase or any $35+ purchase on the Upper Deck online store. Select Upper Deck Authorized Group Breakers will also receive sets as well hobby stores in and around Pittsburgh. Limited to only 5,000 total sets, 2016 Upper Deck Stanley Cup Champions is expected to release at the end of June. 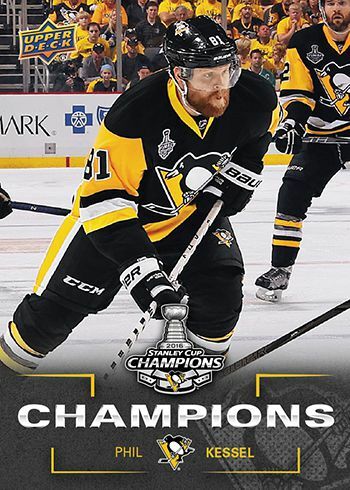 Penguins fans will find some of their favorite players from the series, including Matt Murray, Sidney Crosby, Olli Maatta, and Phil Kessel. 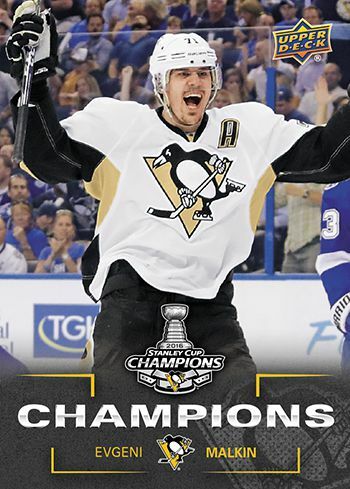 In the NHL playoffs, the Penguins defeated the New York Rangers (4-1), Washington Capitals (4-2), and Tampa Bay Lightning (4-3), winning the Eastern Conference finals. 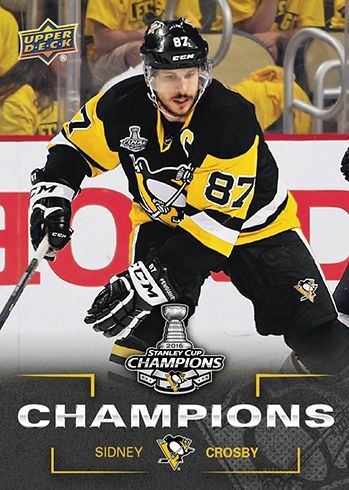 After battling the San Jose Sharks for six games, the Pittsburgh Penguins claimed the Stanley Cup in a 4-2 series win. These are mock-up images and are not final. Contents and designs are subject to change. 2015-16 Upper Deck SPx Hockey Factory Sealed Hobby Box -3 Hits Per Box -McDavid?